India has the invaluable heritage of some of the best craftsmanship. We present handicrafts made from a variety of materials including metals, wood, glass, threads, clay, beads and a host of others. 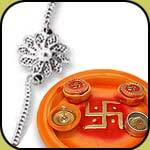 There are beautiful handcrafted items like diyas and rakhis that add a jubilant touch to Indian festivals. 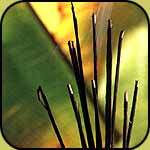 We offer fine quality agarbathis or incense sticks that have natural, exotic fragrances. There are different perfumes like sandalwood, jasmine, rose and chandan. These fragrances spread the ambience of freshness and tranquility. 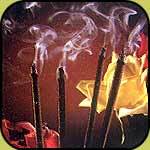 The incense sticks are packed in attractive packages. We also offer other reputed brand of Agarbatti that is available in our local market.